A new study shows that a fruit and vegetable prescription program can improve access to healthy foods for underserved children. The program, which was implemented in Flint, Michigan, could be replicated in other areas to address food insecurity in children. In August 2015, the Hurley Children's Center—Sumathi Mukkamala Children's Center, a residency training pediatric clinic associated with the Michigan State University College of Human Medicine, relocated to the second floor of the downtown Flint Farmers' Market. 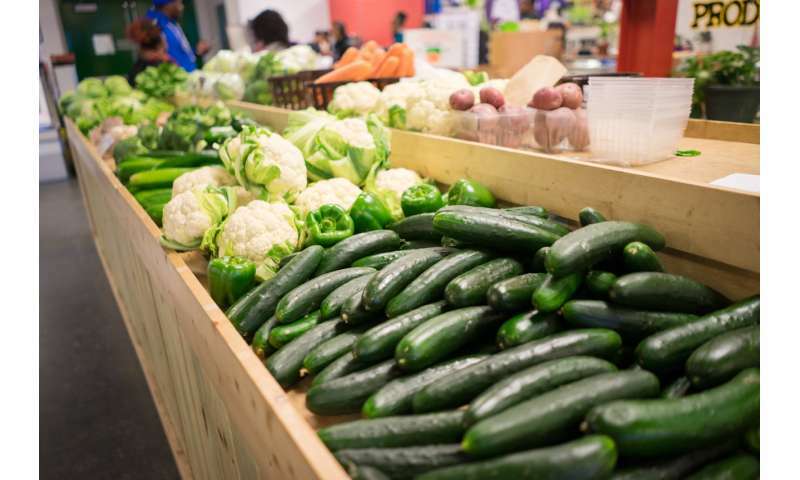 Immediately following this move, the clinic and the farmers' market created a program to encourage families to shop at the farmers' market by giving pediatric patients $15 prescriptions for fresh fruits and vegetables that can be redeemed at the market. More information: Amy Saxe-Custack will present this research during the Community and Public Health Nutrition Challenges and Interventions on Tuesday, June 12, from 9-9:45 a.m. in the Hynes Convention Center, Room 208 (abstract).